Error messages are the computers way of saying "I've got a problem", this is the clue to the problem. They can appear when you first turn on your computer, or immediately after the 'desktop/wallpaper' has appeared, or when you go to perform a particular task. 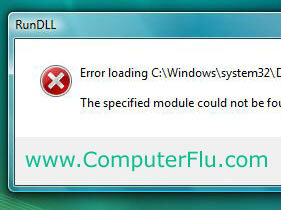 Some error messages can be safely ignored, but most should be looked at as soon as possible. Don't let these error messages stop you from spoiling your enjoyment.